A windscreen replacement of a Hummer? No problem! For many people, it is particularly important that they not only have a spacious and large, but also a really sturdy and very safe car. If this also applies to you, you have probably chosen to purchase a Hummer. This sturdy washed clumps of powerhouse looks absolutely impressive and offers passengers all the comfort they need. Add to this the fact that a Hummer can be used within certain professional sectors and the popularity of this car brand is not far off. No matter how qualitative a Hummer may be, it goes without saying that you must always take into account the occurrence of certain damage, for example to the windscreen. A windscreen replacement of a Hummer can cost you a lot of money by choosing a windscreen with a brand logo, but fortunately it can also be different! 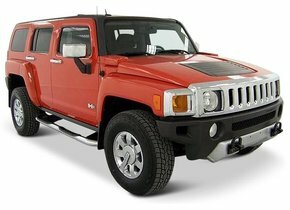 The fact that the quality of a Hummer is always excellent is evident from the history of the car brand. After all, it was the American army that commissioned the company AM General in particular to design a brand new car that could be used perfectly as an off-road vehicle. Of course it goes without saying that the car had to have a solid quality and be impressive with enough space inside. When you have purchased a Hummer you know that this car perfectly meets all these conditions. However, damage can never be ruled out, making it necessary to replace a windscreen. For example, it is possible that the glass in front of your car may be affected by rubble. Obviously, when this rubble is in the driver's field of vision, this involves a lot of security risks, which makes it absolutely advisable to buy a new Hummer windscreen. Is the windscreen replacement of your Hummer necessary? A great deal is really being said about the need to replace a windscreen that is actually not correct. For example, many parties have indicated that a damaged windscreen is always grounds for rejection by the APK. This is not correct. The windscreen replacement of your Hummer should only be done if the damage is in the driver's field of view or if there is a crack with branching. If this is the case, the view of the road is of course significantly impaired, but in addition to this, reflections from sunlight, for example, can also blind the driver with all the consequences that this entails. In this situation, a new Hummer windscreen replacement is necessary before the car is taken away for the APK. Does the damage not occur immediately in the driver's field of view? In that case, it does not necessarily have to pose a problem. However, you should always bear in mind that the automotive glass of your car is responsible for a significant percentage of the rigidity of the chassis. A damaged windscreen always carries the necessary risks. When you have decided to buy a new Hummer windscreen, it is often a little swallowing when you see the prices. However, these are windscreen prices bearing a brand logo. At Autoglas Concurrent, we offer our customers the opportunity to choose a windscreen designed for the after-market. The windscreen replacement of your Hummer must of course always be done by a copy of the highest quality standard. Many people fear that only a windscreen with a brand logo is suitable for this purpose, but that is absolutely not correct. Indeed, if we compare the production line as well as the location where both types of car windows are made, we can see that there is no difference whatsoever. The fact that the production line and the factory are identical ensures that there can be no difference in quality between original branded automotive glass and an after-market car window. 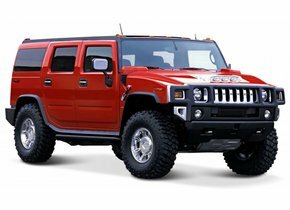 A windscreen replacement of your Hummer with an after-market model does give you a very considerable financial advantage. Ordering a new Hummer windscreen at an affordable price is of course a great option, but there is more. What about the installation of your new windscreen? Replacing the Hummer windscreen is always outsourced to one of our FOCWA certified partners at Autoglas Concurrent. We do this because we always want to guarantee our customers that the windshield of their Hummer will be replaced in the most efficient and qualitative way possible. Here too, you can be completely reassured with us. Are you not convinced yet? We have another advantage for you! The windscreen replacement of your Hummer can take a considerable amount of time with many parties. This does not apply if you choose to invoke the possibilities we have to offer you. Your windscreen will be replaced within one to two working days! All of this makes it clear, are you looking for a cost-effective, qualitative, new Hummer windscreen which FOCWA certified partners and also very fast to install? In that case, it is definitely worth making use of the opportunities that Autoglas Concurrent has to offer you!